The MDD Zen reception lobby desk includes a desk high-top with a single cable port, counter top and two sets of LED downlights per module. 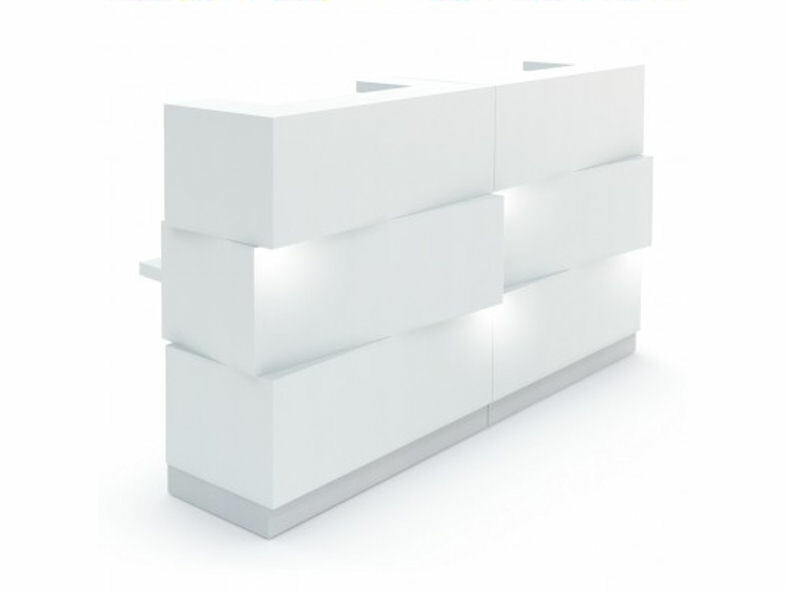 The LED lights are to highlight the interesting and welcoming shape of the contrasting angles of the front panel. 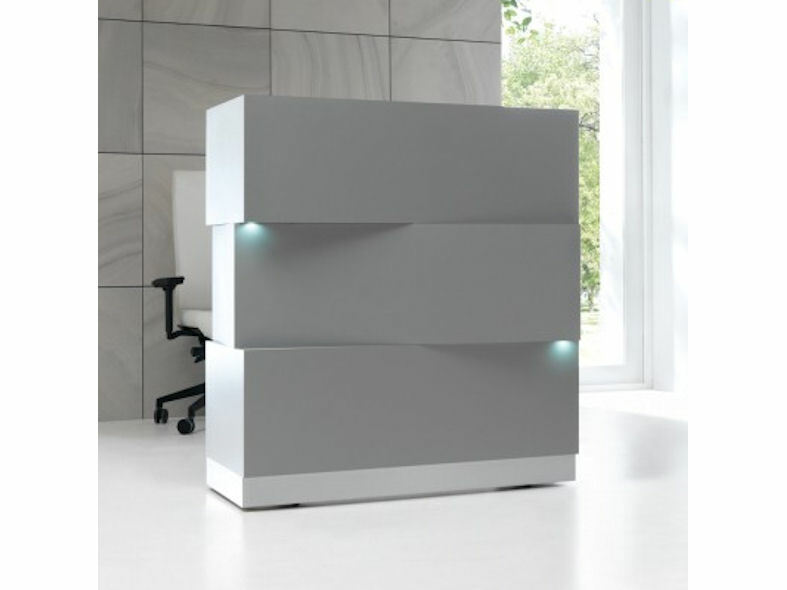 The ZEN desk has height adjustable levelling feet that support recessed aluminium faced kick plates and a carcass finished in either pastel white or satin aluminium silver grey laminated MDF. 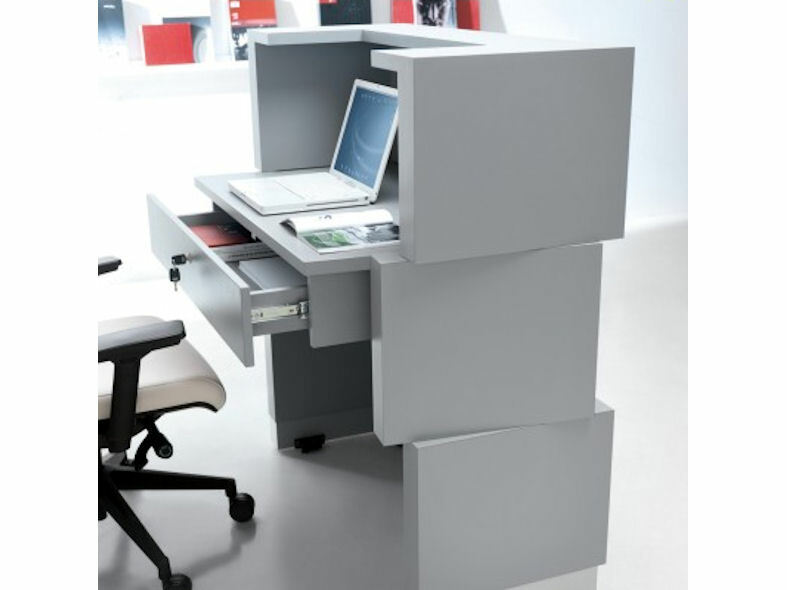 The under desk full width lockable drawer is an optional extra. Each Zen desk installation can be as long or as short as necessary because each desk can interlink with adjoining desks. The MDD Zen reception lobby desk can be used for many purposes including hotel, hospitality, lobby, reception and "meet & greet".